Elfhaven Lodge has five bedrooms, three up stairs and two downstairs. 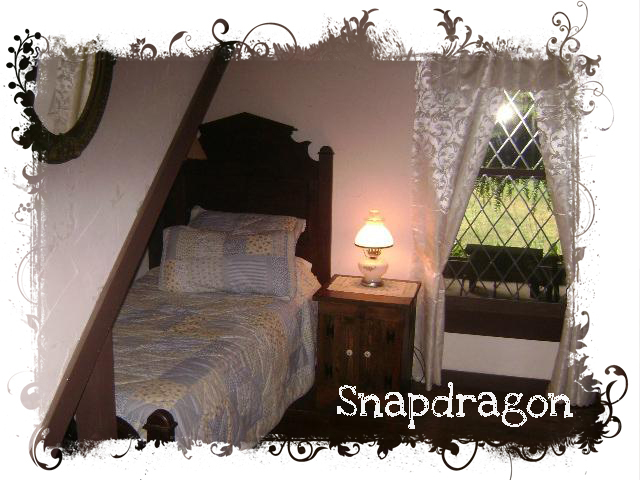 Snapdragon a twin bed tucked beneath the staircase leading upstairs. Directly across the hall from the bathroom. 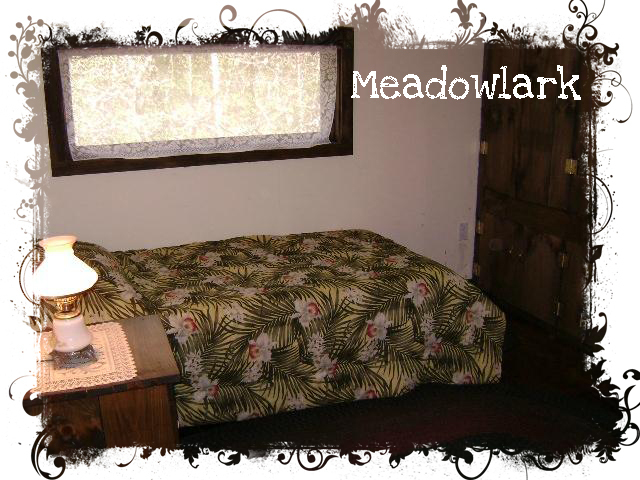 Meadowlark is upstairs and features an antique four poster, full size bed, built-in closets, and a nice window seat. 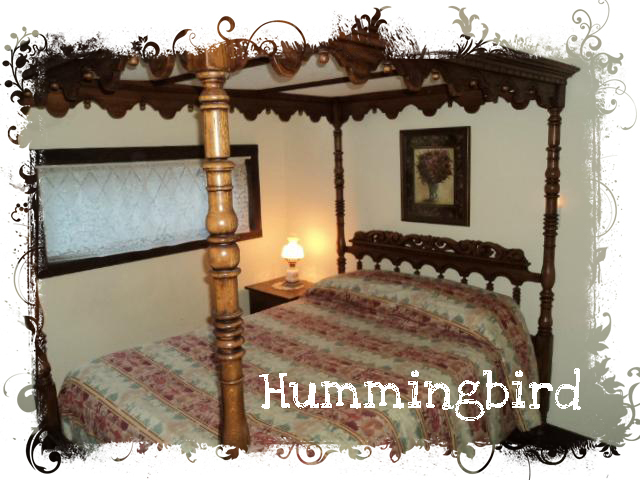 Hummingbird is upstairs next to the Meadowlark and features a full sized canopied bed, built-in closets, and a nice window seat. 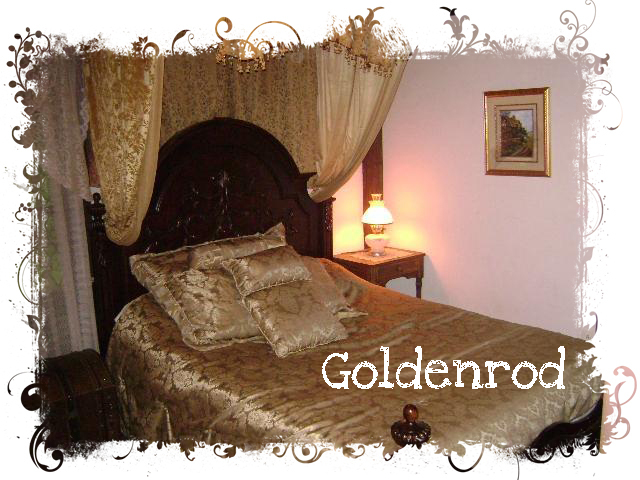 Goldenrod features a queen size bed adjacent to the downstairs bathroom. 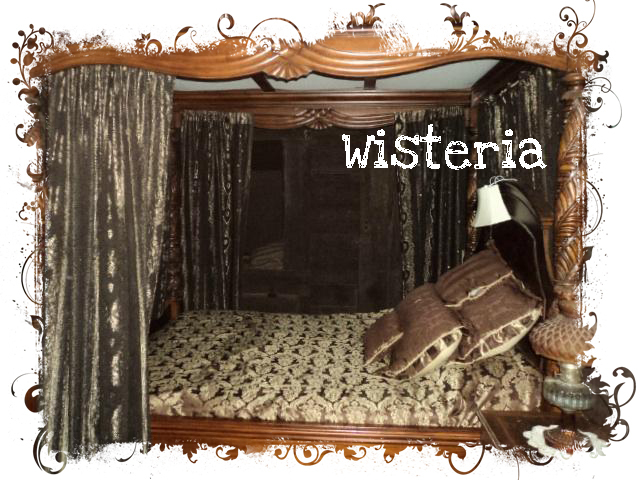 Wisteria is an upper level veranda with three walls. 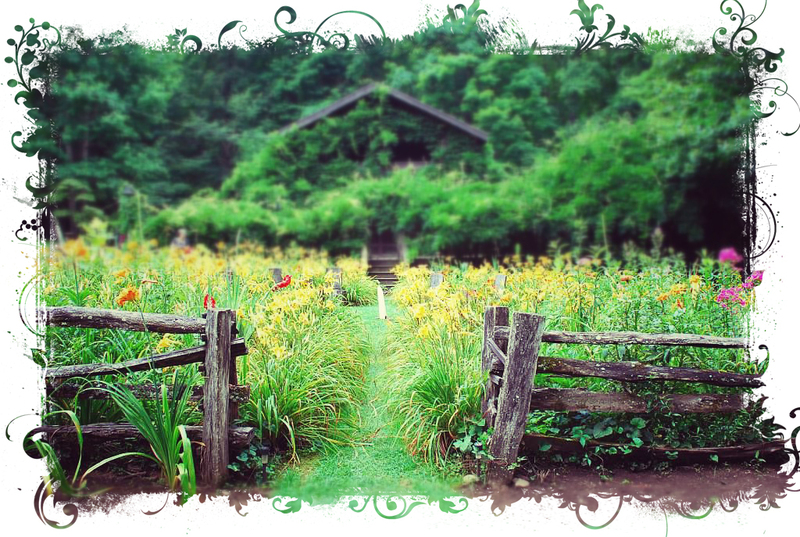 The fourth side directly overlooks the sundeck, flower garden and the stone circle. It features a queen size four poster canopied bed, and two twin-sized sleeping pods. 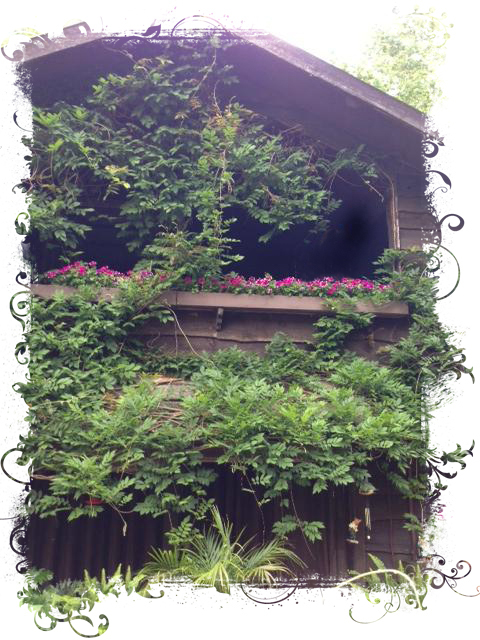 and yes, there is wisteria growing into the room.